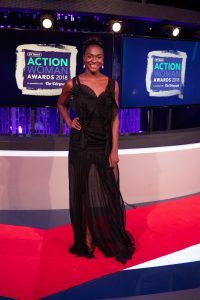 Dina Asher–Smith named BT Sport Action Woman of the Year 2018. British sprinter, Dina Asher-Smith has been named BT Sport Action Woman of the Year after a sensational year saw her win gold in the 100m, 200m and the 4x100m at the European Championships and gold (4x100m) and bronze (200m) at the Commonwealth Games. The joint fastest woman in the world in the 100m and the fastest woman in the world in the 200m fought off competition from a shortlist of eight women to win the public vote. 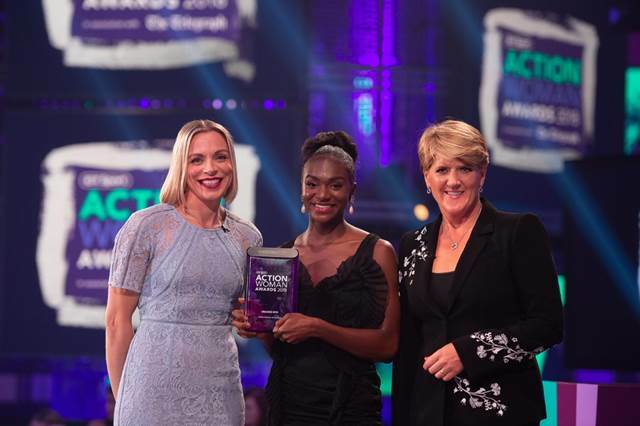 Dina received her award from Kate Richardson-Walsh, Olympic Gold Hockey medal winner and previous Action Woman Award winner, at the ceremony hosted by Clare Balding broadcast live on BT Sport. 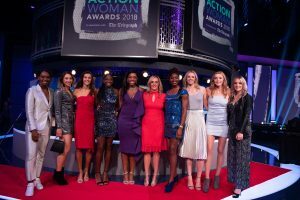 The England Netball team walked away with the Team of the Year award following their historic win over Australia that saw them bring home the gold medal at the Commonwealth Games. Michael Owen presented the award to round off a momentous year for the team and the sport. Baroness Grey-Thompson DBE received the Lifetime Achievement Award. The Eleven-time gold medallist is Britain’s most successful Paralympic athlete and now works to inspire the next generation of disabled athletes to pursue a career in the world of sport. 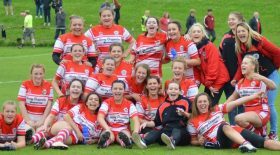 Alongside encouraging young people to get involved in sport, Baroness Grey-Thompson is leading a review into safety for players and spectators at sporting events which is to be included in a new Government sports strategy.